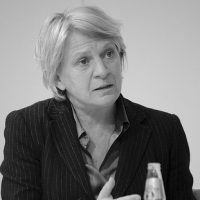 Barbara Unmuessig has served as Co-President of the Heinrich Boell Stiftung since 2006. Prior to that, Barbara has worked in the German NGO sector on development and gender issues and helped coordinate German environmental NGO involvement in the original Rio earth conference in 1992. Despite being only a small part of their manifesto, the German Greens’ policy of ‘veggie days’ gave them the unfortunate appearance of being the party that ‘wants to ban things’.